Before cutting edge technology gained ground in the world, traditional offline marketing was responsible for attracting myriad customers to purchase various products and services. Although the traditional marketing techniques assisted businesses to enthrall their customers to buy goods and services, a tremendous impact is evident after the introduction of content marketing. State of the art technology has effectively enticed many businesses to employ content marketing with the purpose of promoting their products and services. The conjecture about the benefits of content marketing to the advantages of traditional marketing has resulted to mind-boggling controversial debates. Content marketing has proven that any business can get connected to its customers anywhere in the world. Customers have the advantage of communicating their needs and demands to businesses through the messaging platform in marketing contents. It is imperative to consider knowing the audience of your business because it helps you as a marketer to know the specific content marketing technique you need to adopt to promote your products and services. 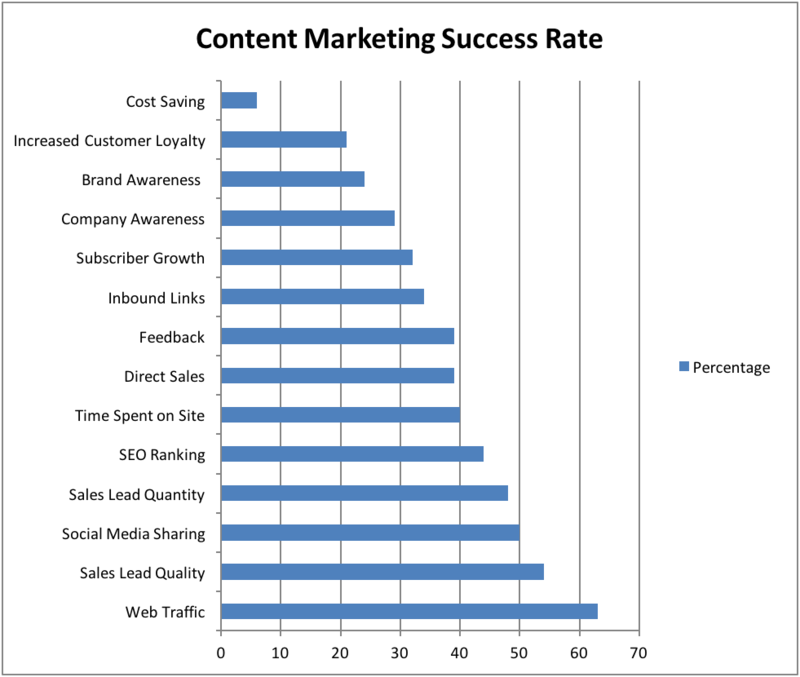 Is content marketing expensive as people claim? As much as people have spread the notion that content marketing costs a lot of money, this is an obnoxious profess because this is quite contrary to the reality. Content marketing is way cheaper than the use of traditional marketing because businesses reach millions of people that are interested in their products or services. A single content can attract high traffic response within a span of short time. The proliferation of smartphones as a result of advanced technology has paved the way for the vast employment of content marketing to promote awareness. More than 70% of the world’s population is tech savvy and spend more than 2 hours online every day. Through this situation, the customer effectively peruses through the marketer’s products and services and decides to communicate with the brand promoter. According to statistics, every 4 people out of 5 who have smart phones purchase stuff online. It is riveting that in every 5 people, 3 of them are riveted by ads that pop up in their social media. With the mobile media is becoming more prevalent, this approbates the growth and use of content marketing by companies. The inducement of content marketing is to ensure that clients are influenced wherever they are. What better way to achieve this than through their smartphones? One of the major impediments that strike businesses is the lack of a reliable platform that nurtures direct response from their customers. If you are a marketer with a strong distaste for response delays, content marketing is here to foster prompt and timely response from customers. Sometimes customers walk away from products and services because they do not get a direct response from marketers. Direct responses also encourage buyers to engage in impulse buying which possess as a great benefit for marketers whose aim is to boost sales. If businesses employ content marketing, this means that they will have more online content that delivers messages to their audience in terms of the products and services available, goals of the organization and new products the organization wants to introduce to its customers. For this reason, the customers are more likely to cling to your products and services resulting to quick familiarity with brands. The more the online content, the more customers develop trust in the quality, reliability, and availability of the products and services offered by firms. Impeccable online content and customers to believe in your product or service, hence they will spend some time on your content. What a relevant manner to increase conversion rates? If you have an audience that is starving for brand information, you as a marketer will have to develop more content regularly so that they do not get bored and can keep up the organization’s progress in relation to the innovation of new products. Nothing is more fundamental to any business than the reputation its products and services have on their audience. Content marketing enables consumers to easily fetch information they need about the brands. Through piloting on your online content, the audience establishes a premonition about the brand that is marketed. It gets even better when consumers recognize your content from outside sources because they develop a notion that the company involved is legitimate and trustworthy. Nothing gives businesses a wider exposure than content marketing because it reaches people in all the corners of the world. The people that visit your online content are more likely to share information about the content as well as the links to the posted content. Their friends in turn also read the content and share with their friends creating a chain of content sharing that gives the brand exposure as many people become familiar with it. Organizations using content marketing have the advantage of attracting huge online traffic and followers. When customers search for their specific products, they go online to get solutions. Content marketing provides marketers with great search engine visibility. Each new post that is placed in blogs and sites adds another link that Google and other search engine indexes. Creation of superior and convenient content gives marketers the guarantee of search engine visibility at the same time ameliorates their ranking. Recent studies indicate that the rise of technological advancement has led to the growth and success of content marketing. It also postulates that more than 27 million contents are created and shared on a daily basis. Perhaps this is what created the jiggle ‘‘Content is power’’. Since the beginning of 2012, content marketing has been the new trend for marketers. Below is a graph showing the success of content marketing in 2016. According to Content Marketing Institute studies on North American organizations employing content marketing show that 62% of the organizations claimed that the implementation of content marketing has been effective in the last 12 months. 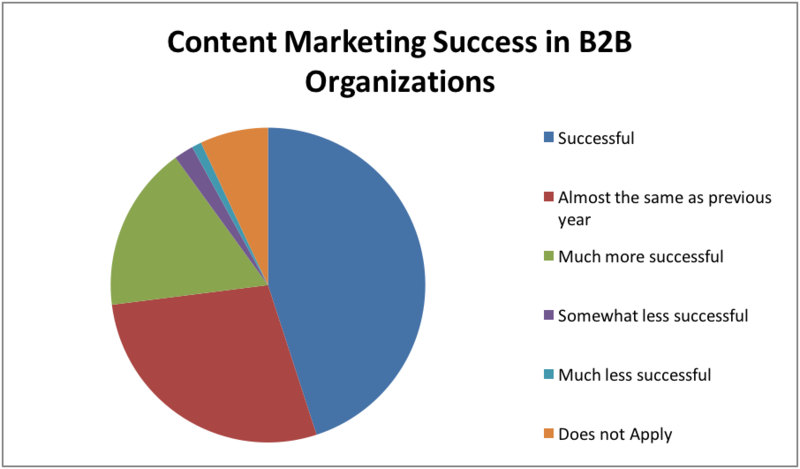 The following data was obtained elaborating the success rate of content marketing in B2B organizations. Establishing great content takes time and only business people that are patient and able to invest more time in ensuring that the online content is of excellent quality will see good results. However, this is a small issue that marketers can handle through the hiring of professionals to create powerful content for their businesses. People love new posts that are published on a regular basis, and when a marketer posts similar or partly different content, the audience tends to get bored. Content creators use the same style of content to suit their preferences or just because the previous posts worked for the audience. This is another disadvantage of content marketing because it requires businesses to keep up with the audience’s demands and preferences regarding content. It is a stupendous situation when it comes to measuring a number of returns obtained from content marketing. This is the case because it is hard for the company to know whether clients know them because of the kind of content they post or because they have been referred by others. However, this scenario can be elided if the marketer establishes the reason why the company needs content. For example, the marketer should consider whether the organization needs generate leads, expand its target audience or boost company profile recognition. The marketer needs to carefully track the influence the content by use of Google analytics so as to have a gist of some returns obtained. The traditional marketing strategy involves a personal contact between the buyer and the brand promoter. The customers enjoy face to face communication that enables them to obtain direct feedback response regarding any issues and questions they may have pertaining to the product and services offered. The traditional marketing strategy has been used for decades and for this reason, it has become very convenient and popular to businesses because it is easy to employ and does not require people to be tech savvy. The strategy is very effective in luring the local audience to consider purchasing products and services offered by the organization. However, it becomes difficult to expand audience through the use of this method. Compared to content marketing, the implementation of traditional marketing by businesses is much more expensive. It is a prerequisite for the marketers to ensure that they cater for the expenses incurred through print, television or radio adverts. Even if the marketers pay for the adverts, they are further required to hire people who will ensure that fliers and brochures are distributed to the target audience. This is the biggest impediment for businesses using traditional marketing since the marketing strategy requires them to invest a lot of money. The problem with this is that a company may invest a fortune to promote awareness of its products and services and after a few months, they realize their efforts were futile because the marketing strategy has not delivered what the business expected. In such a situation, the business’ profits start to dwindle and welcome bankruptcy. 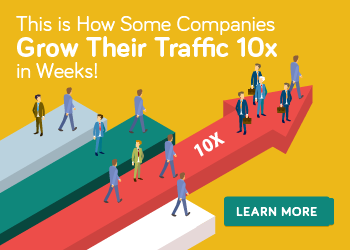 Small businesses that are not financially stable should evade using this kind of marketing technique especially because they cannot afford to lose any amount of money. The adoption of traditional marketing by firms restricts the customers from effectively connecting with the medium employed to market the products and services. Through this factor, the marketer only provides basic details pertaining to the products and services interested by the clients. 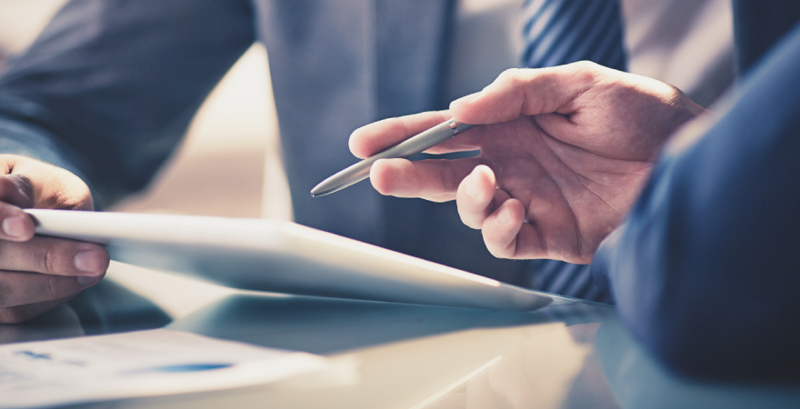 The clients have no platform that enables them to search for information they prefer and this minimizes the opportunity for the client to be familiar with the products or services offered by the firm. As much as businesses need to invest at of money to promote awareness of their products and services, it becomes a huge problem to measure the outcomes of the marketing method used by organizations. In order obtain a slight detail about how effective and successful the method requires the marketers to employ the use of statisticians who assist in evaluating and communicating the outcomes of the traditional marketing method. 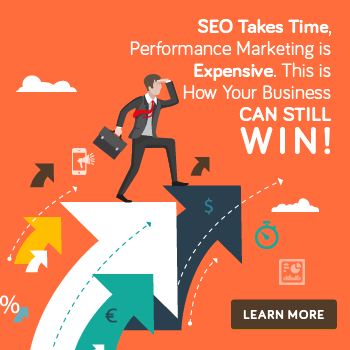 This is another way businesses spend money, and this means that every time the marketers need interpretation about the results of the traditional marketing, they will have to pay a professional for assistance. For new and small firms, this poses a threat to stability and successful performance because money wasted in this manner should be used to attain fundamental goals. Nothing bores the audience of specific programs that a commercial break that comes in between their favorite shows. In most cases, during commercials airing, the audience tends to avoid watching or listening to the commercial. Commercial breaks act as opportunities for people to grab a cup of coffee, get a snack, etc. For commercials to effectively deliver the intended message/information, the marketer has to ensure that they have paid enough to cover frequent commercials so that the brand information can be engraved in the minds of the target audience. The fact is that more than 90% of people avoid ads; hence marketers should shift their attention and consider using other marketing methods like content creation. In association with adverts placed on radios, marketers are incurring losses because in most cases people turn on their radios when they are in their cars. People are only interested in listening to music and radio talk shows and whenever adverts creep in they just ignore or simply stare at the roads. Traditional marketing requires that organizations become persistent in terms of encouraging play of multiple adverts so that the audience can capture a few details about the products and services being promoted. The reason why the radio adverts do not engross the target audience is that they normally lack edge and ephemeral information. The messages placed as an advertisement for any brand or service has to be short and intriguing so that it can capture the attention of the audience. Traditional marketing does not conform to changes that occur in the marker sphere especially if the modification involves new technological advancement. Also, the message to be communicated to the audience goes through a long process before it is communicated through the advertising medium. In case the organization wants to modify the commercial information, it will have to incur extra costs not forgetting that it has to take a specific amount of time before it is published. Customers love the notion of being able to acquire relevant information about products and services they like or are willing to purchase. Traditional marketing deprives the consumers of sufficient information about goods and services and these results to weak sales, exposure and customer loyalty. For instance, in the case where a product is promoted through a television or radio advert, the consumer has only 30 seconds to absorb and gather information about the brand being promoted. If they miss a sentence, they will have to wait for another ad session to air to put the pieces together. Compared to content marketing, the strategy nurtures customer involvement in fishing out reliable information about products and services they want to buy. The consumers have the benefit of clicking various content links that can assist them by providing pertinent information about the brand. With more than 80% of B2B organizations employing the use of content marketing, is it no doubt that the future of marketing is highly based on content creation. The advantages of content marketing are what gear the high popularity this method has compared to traditional marketing. It is a fact that content marketing wins over the traditional marketing based on the advantages and disadvantages each method has on businesses. According to the statistics and data elaborated above, companies that implement content creation as a way of marketing their products and services have a higher prevalence of success compared to those that lag behind using traditional marketing. If you gather interest on high traffic, increased lead generation, vast company exposure, high customer loyalty, increased sales, a high number of social followers, direct feedback from clients, brand recognition by clients and small budget expenses, then content marketing is the strategy for you. Having said that, we help companies succeed in content marketing through our automation tool we are building. We are in beta stage and accepting companies to test our tool. Drop me a message to discuss your companies requirement.